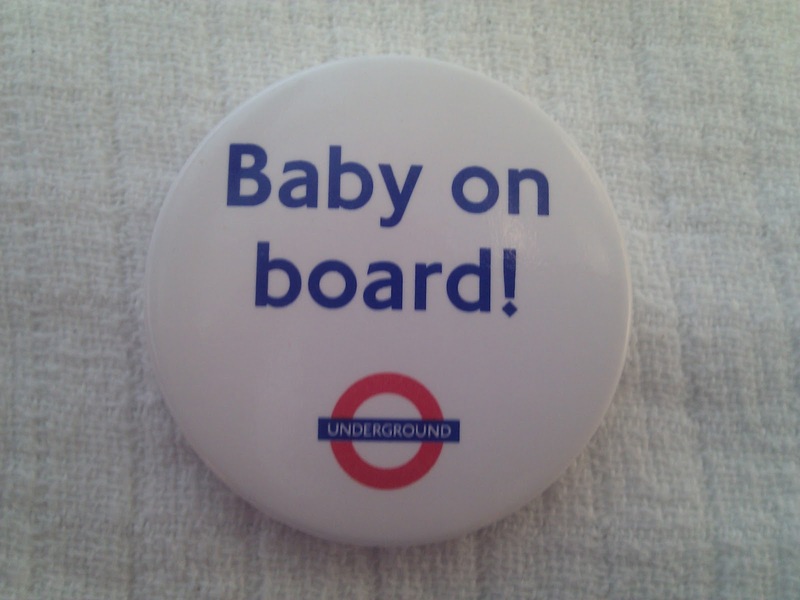 Since deciding to pin on my TFL Baby On Board badge I’ve been interested to see if it actually works – so far I’ve got a seat most days, although not because someone has offered me one. Half term means the trains are slightly quieter than normal and there has been a spare seat or two every morning. To some extent this is still a victory for the badge though, as the good people of Nunhead have generally noticed it and let me on the train first, or hung back once on it so I have first go at getting that spot – Thank you lovely Nunhead folks, it’s much appreciated! Pre-half term I had one fail- all the seats were taken when I got on board, I stood near the priority seats, expecting no one to look up, but they did! Several of them, right at the badge. In fact one young chap had a jolly good look at me on at least two occasions but decided he needed the seat more. Before getting off two stops later. I managed to get a spot at this point from another priority seat occupant getting off at the same stop.